“It is like a dream. 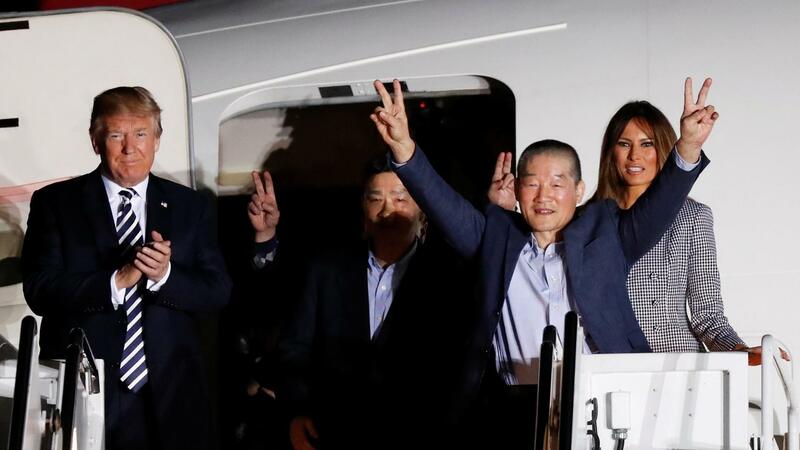 We are very, very happy,” Kim Dong-chul told reporters through a translator after arriving back in the U.S.
Tony Kim, 59, was detained at Pyongyang airport in April 2017 as he was preparing to leave the country. The accounting professor had been working at the Pyongyang University of Science and Technology, an institution privately funded by Christian groups in the West. His return means he will be home for the birth of his first grandchild, who is due over the summer. Kim Hak-song, who was also working at the science and technology university, was held in May 2017 for “hostile acts against the republic.” Kim was doing agricultural development work unrelated to the university, the institution said. 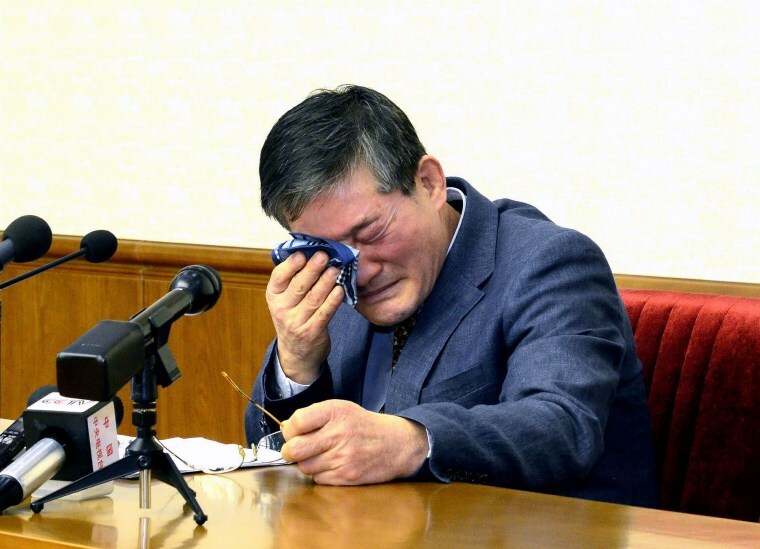 The longest held was Kim Dong-chul, who was sentenced to 10 years in prison with hard labor in April 2016 for espionage and subversion. Paraded before cameras ahead of his trial, he said he had spied for South Korean intelligence authorities in a plot to bring down the North’s leadership and had tried to spread religion among North Koreans. However, South Korea’s National Intelligence Service said the case wasn’t related to the agency in any way. A North Korean official came to Pyongyang’s Koryo Hotel at 7 p.m. local time Wednesday (6 a.m. ET) to say Kim Jong Un had granted the three detainees amnesty. Pompeo was told that he should make sure they “do not make the same mistakes again,” according to a U.S. official who was present. The proposed meeting between Kim Jong Un and Trump come afterpunishing sanctions leveled against North Korea in response to its missile and nuclear tests. The White House has credited its campaign of “maximum pressure” for creating an atmosphere for dialogue with North Korea.